QUETTA: Deputy Inspector General (DIG) of Balochistan Police Abdul Razaq Cheema has said that the National Database & Registration Authority (NADRA) has no record of fingerprints of two suicide bombers who attacked the Bethel Memorial Methodist Church where worshippers were attending service ahead of Christmas. The church is located on Zarghoon Road, a high-security zone in the provincial capital. Addressing media on Wednesday, the police chief said that samples of both the terrorists’ body have been sent to the Punjab forensic lab for deoxyribonucleic acid (DNA) along with footage of the closed-circuit television (CCTV) cameras, fingerprints and explosives. In line with the report, received by the police regarding fingerprints of both the suicide bombers, the attackers could be under age, therefore, NADRA has no record of their registration in it or they could be foreigners. It is pertinent to mention here that one terrorist was killed by the security official’s firing and the second one blew himself up after sustained injuries. 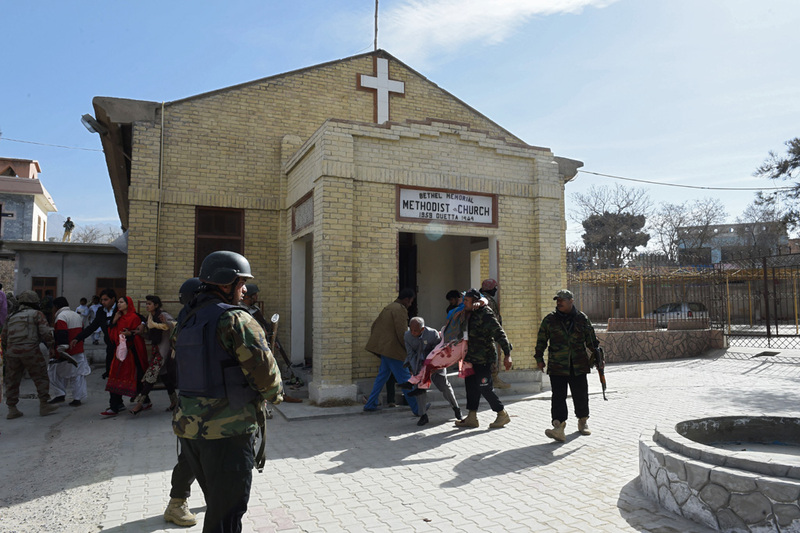 At least two suicide attackers had struck the church while Sunday service was ongoing. There were 400 worshipers inside the church when the assault started, Home Affairs Minister Sarfaraz Bugti announced soon after the attack. Senior provincial and security officials said that the church representatives in the Balochistan province have been assured of security. You don’t have any record of their finger prints because they are not Pakistanis !